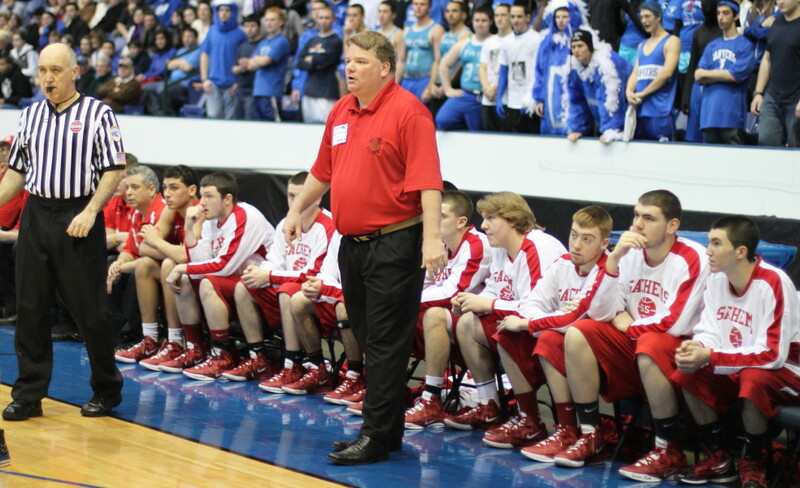 George Merry, Eric Martin, and Coach John Walsh head out for the D3 North trophy. 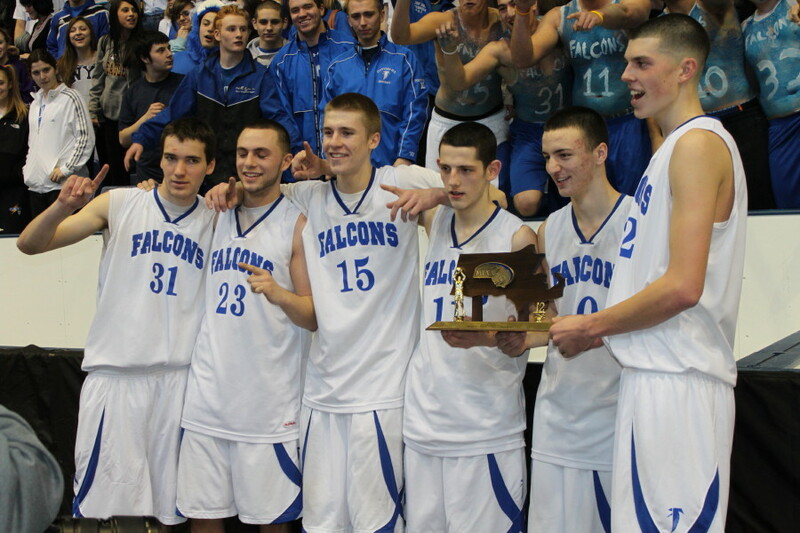 Dan Connors, Nick McKenna, Nick Bates, Eric Martin, Jon Amico, and George Merry with the D3 North trophy. 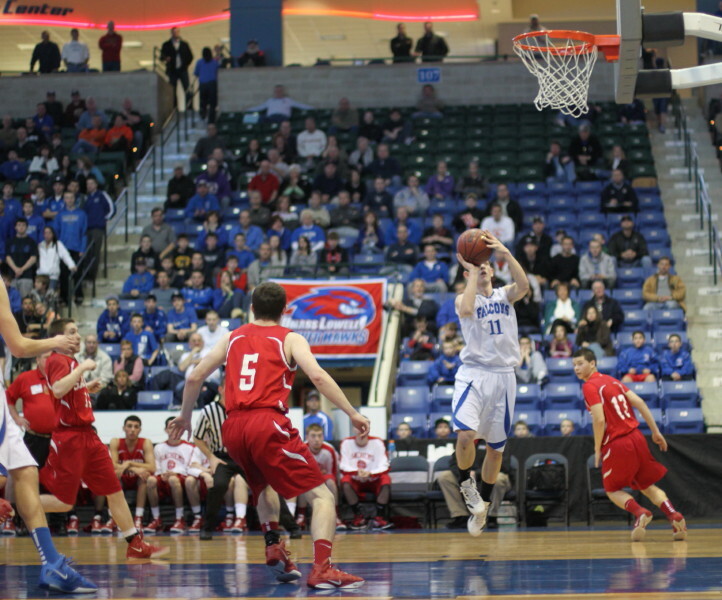 (Lowell) Reality set in for underdog Saugus in the last quarter and Danvers captured the Division 3 North title (53-40) on Saturday afternoon at the Tsongas Center. The victory sends the Falcons (#2 seed) to the D3 state semi-finals at the TD Garden on Monday against the South champs (undefeated Wareham). (I suspect that the 4:15AM start time, currently on the MIAA website, is a typo similar to my originally listing this game on Tuesday when it is on Monday.) The 23-0 Vikings are from the South Coast League. The Sachems (14-9) got within five points of Danvers (45-40) early in the final quarter but didn’t score a single point over the last 6:43 of regulation. Meanwhile, the Falcons put up eight points to pull away to a deceiving thirteen point spread at the end of the game. 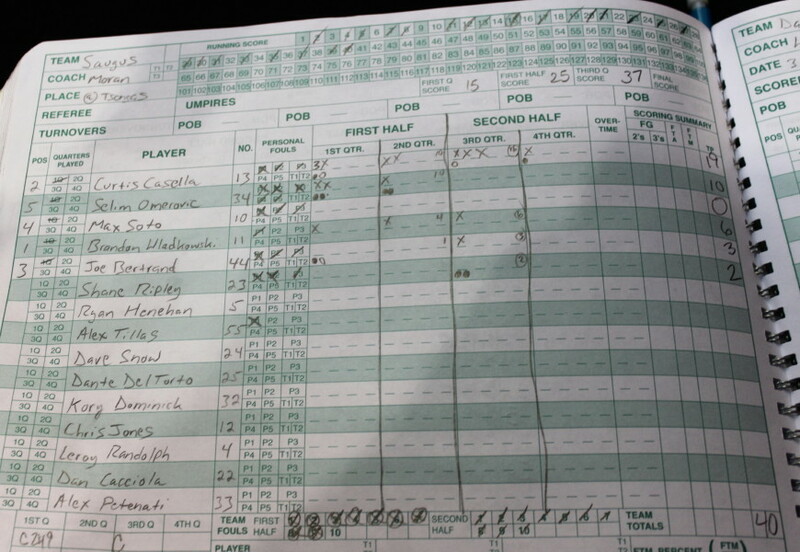 A month ago Danvers pummeled Saugus, 73-39. Given up for dead at the time, the Sachems rallied to salvage their season by winning six straight to get to the tournament. The #8 seed then went on to upset Greater Lawrence, top seed Whittier, and Arlington Catholic to earn a third chance against Danvers. The Sachems looked more than capable of adding Danvers to their collection of upsets in this one as they were even with the Falcons (23-23) with 2 ½ to go in the second quarter. However, five George Merry (22 points) free throws and a layup during the rest of the half were only answered by a Brandon Wladkowski runner in the lane. The Falcons had a 30-25 halftime spread. A Curtis Casella (19 points) layup and a Brandon Wladkowski steal and layin had Saugus back quickly within one (30-29), a minute into the second half. But then the wheels started to come off for the Sachems. Within a 1 ½ minute span the Falcons ran nine straight (two free throws Eric Martin, Nick Bates layup after a steal, two free throws George Merry, and a Nick McKenna triple) and were up ten (39-29) with 4 ½ minutes left in the third period. 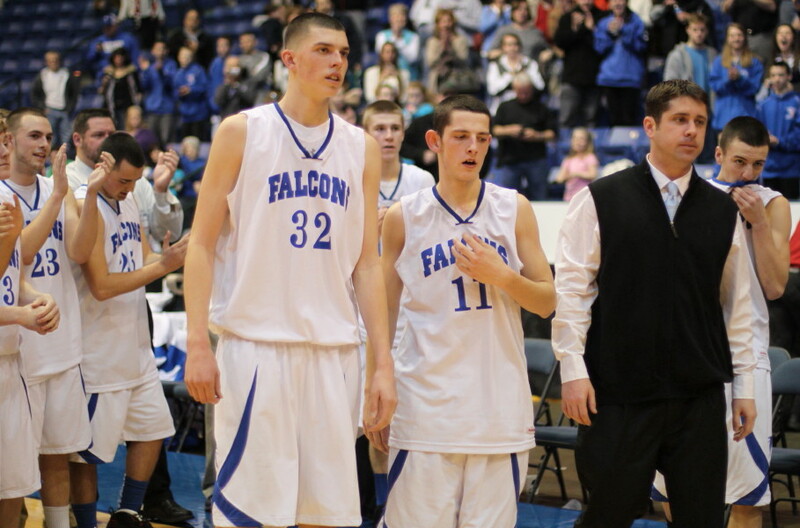 The Falcons extended that lead to twelve (45-33) on a Nick Bates long one with 1 ½ minutes to go in the third. 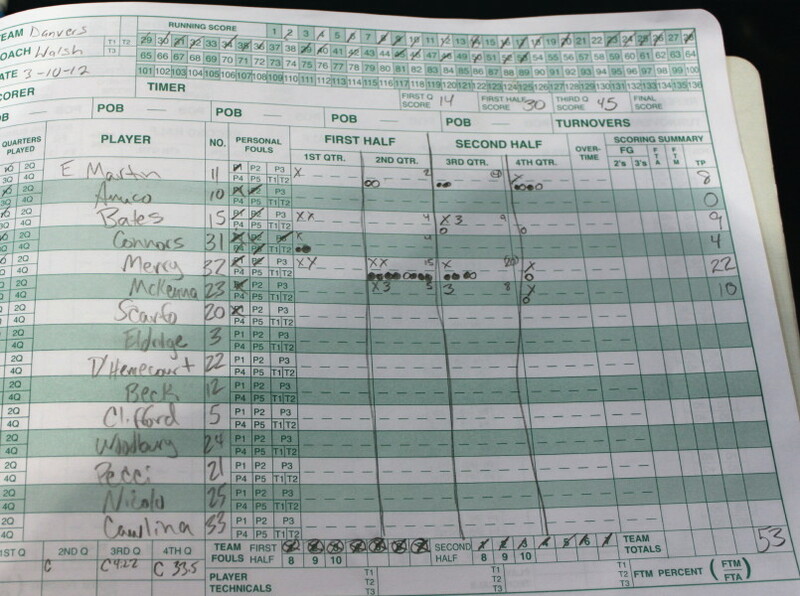 Curtis Casella (5-9 senior) responded with seven in a row on layups…….one after a steal and Saugus was behind just 45-40 with 6:43 left in the final quarter. That neither Curtis nor his Sachem teammates would tally a single point the rest of the way is hard to fathom but that was what happened. Danvers didn’t set any records with their offense in the final quarter but a jumper by Nick McKenna (10 points), a layup by George Merry, and a Eric Martin (8 points) steal/layin and free throw were enough to enable the Northeast Conference champs to become the D3 North champs. Selim Omerovic (6-4 senior) had ten points (all in the first half) and battled foul trouble throughout much of the game. 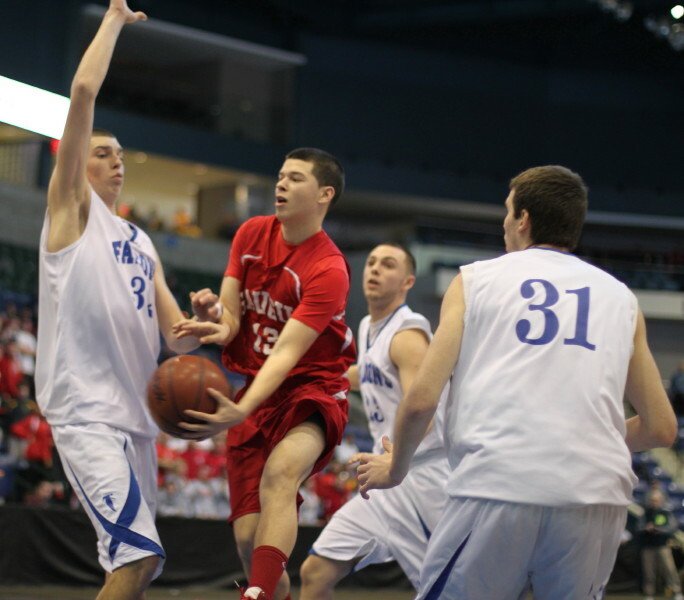 I have seen all three of Danvers tourney games. 6-7 George Merry is the key player for the Falcons. 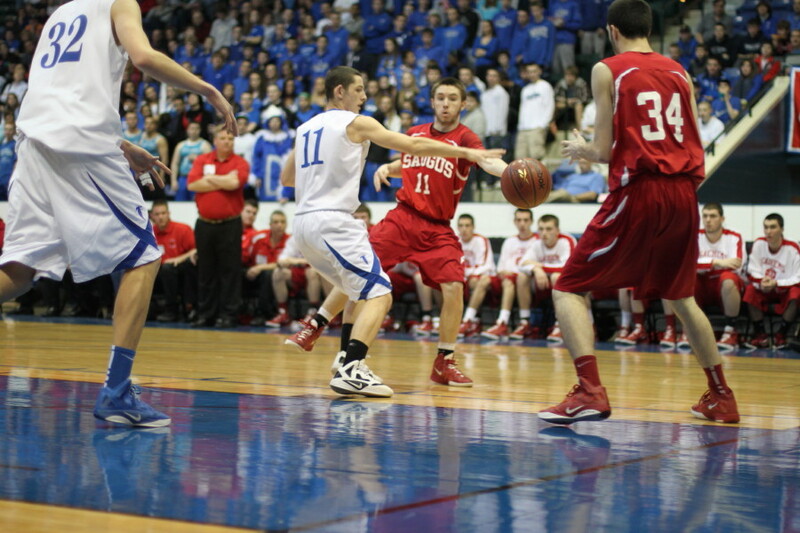 His mere presence down low kept Saugus from getting too many easy shots in close. On offense he converted three rebounds. He also connected on ten-of-thirteen free throws. 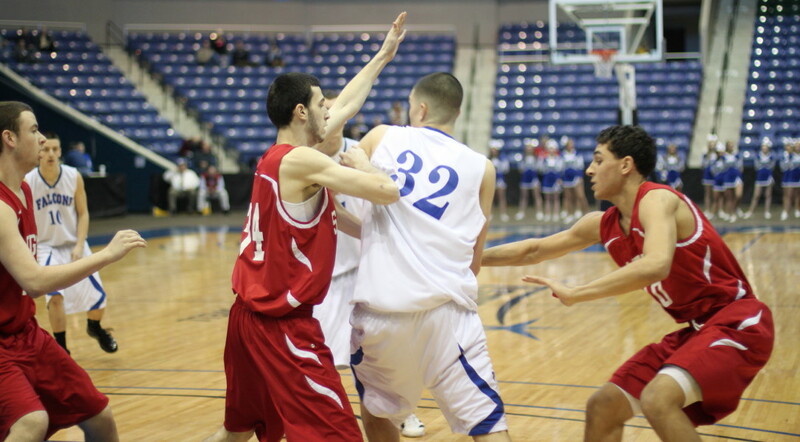 Saugus was the third team I’ve seen that had at least 1 ½ defenders on George. That has left a lot of very good looks for his teammates. Also, when George is on the strong side, teams so far have been vulnerable to weak-side rebounding and layins by Nick Bates and Dan Connors. 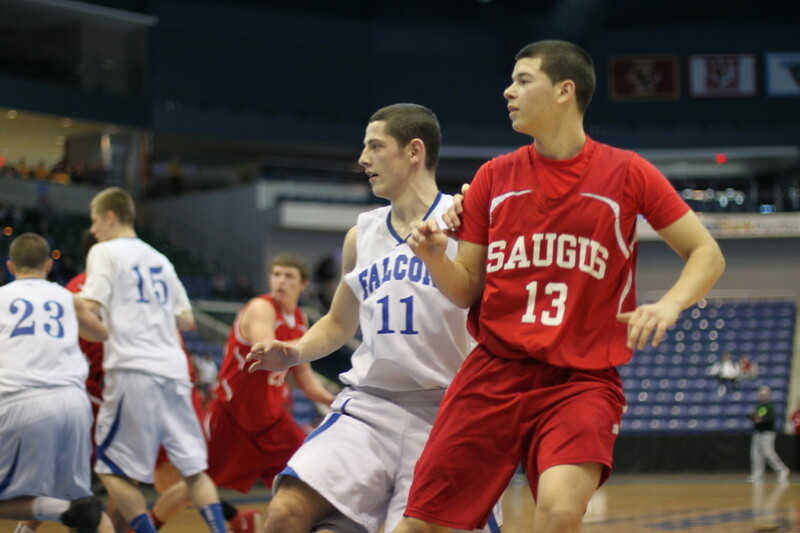 Both Danvers and Saugus entered the D3 North finals in completely new territory for either basketball program. 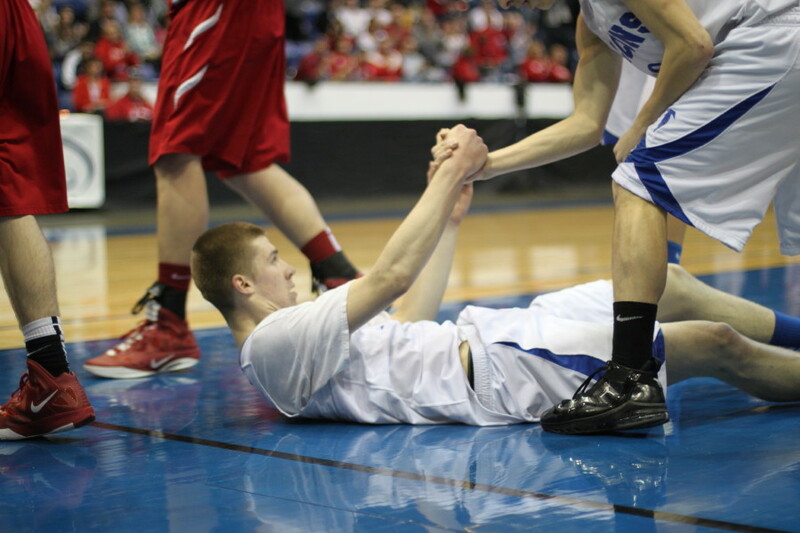 The Falcons are just two wins away from a state championship.